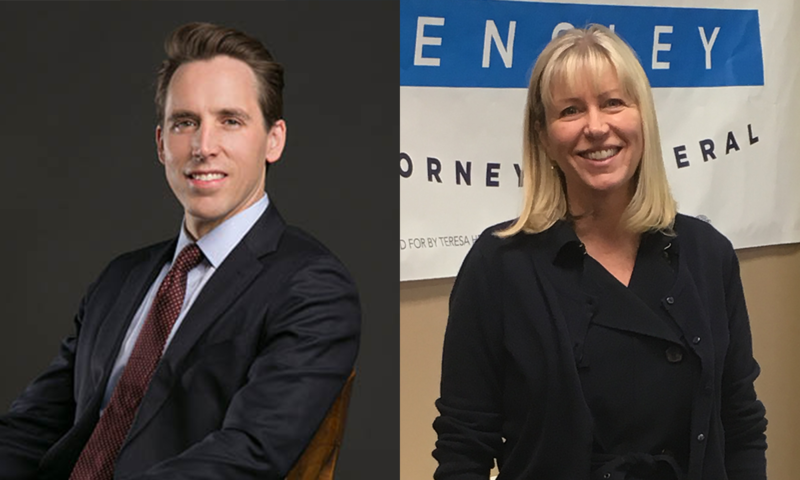 Republican Josh Hawley and Democrat Teresa Hensley are running for Missouri Attorney General. Every Missouri attorney general since 1969 has sought higher office at the conclusion of their term, just as gubernatorial candidate Chris Koster is doing this year. Even so, the race to be the next attorney general hasn’t received much attention. Perhaps it should; this year’s two major candidates have completely different ideas about what the job even is. Hensley, 57, served as Cass County Prosecutor from 2005 to 2014. That’s the job Koster had before she did, and that’s the experience she says over and over again qualifies her to follow in his footsteps as Missouri’s top attorney. Her Republican opponent, Josh Hawley, has a totally different conviction about the nature of the job — he says it’s about protecting Missourians from federal overreach. That television ad from Hawley, a law professor at Mizzou, shows him in front of the Platte County courthouse, but Hawley’s legal work has all been in appellate and federal courts. He represented conservative interests in several cases, including the Supreme Court’s “Hobby Lobby” case that said corporations could be exempted from certain laws (like mandatory coverage of birth control expenses) because of religious objections. Hawley says his is the kind of experience Missouri needs. "You’ve got to have someone who’s a constitutional lawyer, because that’s the job of the attorney general," says Hawley, 36. "Someone who knows how to litigate in a federal court, who knows how to litigate in the appellate courts, which is where the AG spends much of his or her time. And of course the Supreme Court of the United States. 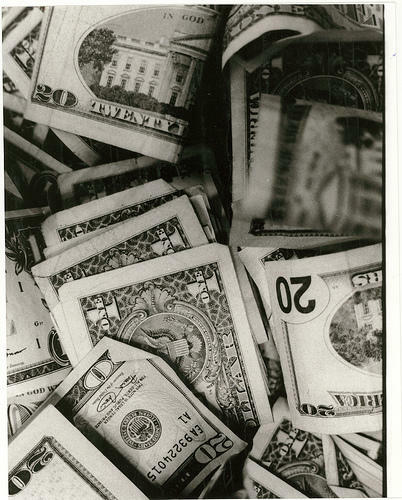 It’s becoming increasingly important to be able to defend the state’s interest there." That disagreement over the role of the attorney general is at the heart of this race, and supporters of both candidates say their terms in office would look different. Hawley would likely join with other Republican attorneys general in suits challenging federal regulations from the Obama administration, like environmental rules that affect farmers, or provisions of the Affordable Care Act. Hensley might do some of that, as Koster has on occasion, but she says she’d focus more on developing programs like mental health courts, veterans courts, victim advocacy—all programs she worked on in Cass County. Ads like that one for Hensley have been airing more frequently in recent weeks, but despite their differing visions for the office, the candidates have only faced off once — at a Q&A at a brewery in Springfield, Mo., that wasn’t broadcast or recorded. But they’ve been hitting each other hard in the media. Hawley portrays his Democratic rival, who ran unsuccessfully for Congress in 2012 and lost her prosecutor election in 2014, as a career politician. Hensley has the support of labor unions and a group of Republican sheriffs, as well as the endorsement of the state’s largest newspaper, the St. Louis Post-Dispatch. She challenges her Republican opponent for accepting large campaign contributions. His campaign war chest more than triples hers. The latest Post-Dispatch poll shows Hawley leading 50 percent to 40 percent. As Hawley also continues to enjoy a substantial fund-raising advantage, Hensley would need exceptional voter turnout and some undecided voters to swing her way on Election Day. Brian Ellison is host of Statehouse Blend Missouri and contributes to KCUR's political coverage. He can be reached by email or followed on Twitter @ptsbrian. Eric Greitens has emerged victorious from a bruising, four-way contest to be the Republican nominee for governor. He will face Attorney General Chris Koster, 51, who coasted to win the Democratic primary.